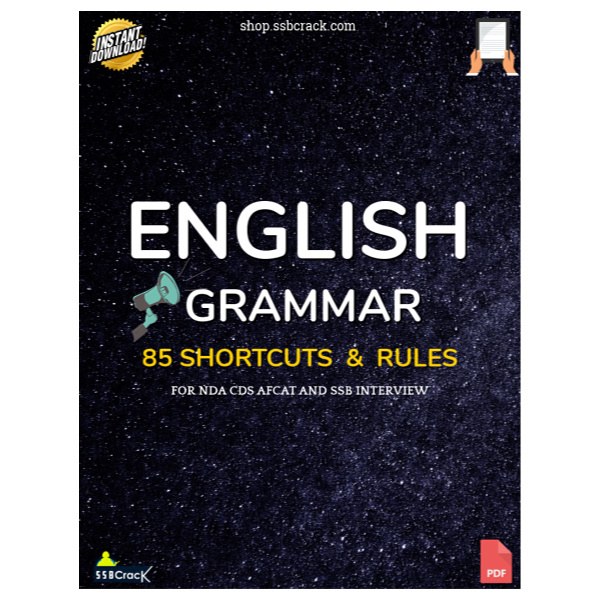 Candidates who are preparing for the various competitive exams like CDS, NDA, AFCAT, SSC, UPSC, and more can download the English Grammar shortcuts and rules to follows for a better understanding of English language. These simple rules will help you with your written exams and also improve your communication which helps in the personal interview. 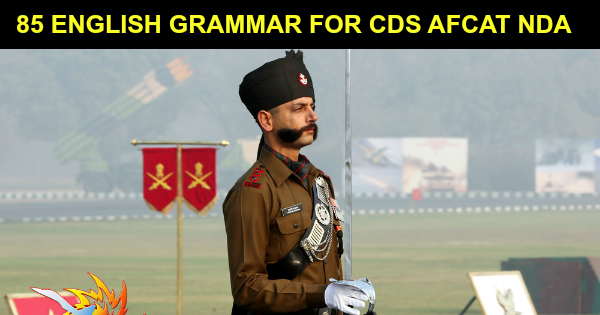 Defence exams like CDS, AFCAT and NDA have a significant amount of English questions asked and these English grammar rules will help you to improve in the English section. Also, try to imbibe these rules in your day to day communication to speak clearly and correctly. Rule 1: The indefinite article ‘A’ should be used before the word ‘Half’ when it follows a whole number. Rule 2: The definite article ‘THE’ should be used with a comparative adjective if the phrase ‘of the two’ is used. Rule 3: With the names of meals such as Breakfast / Lunch / Dinner / Supper, no article should be used in a general way except in particular causes. Rule 4: The + Positive Adjective represent the whole class, and take a plural verb. Rule 5: After Di- Transitive Verbs like Elect / Make / Appoint, articles should not be used except when they are used as Mono transitive verbs. Rule 6: After type of / kind of / sort of / post of / title of / rank of / articles are not used.